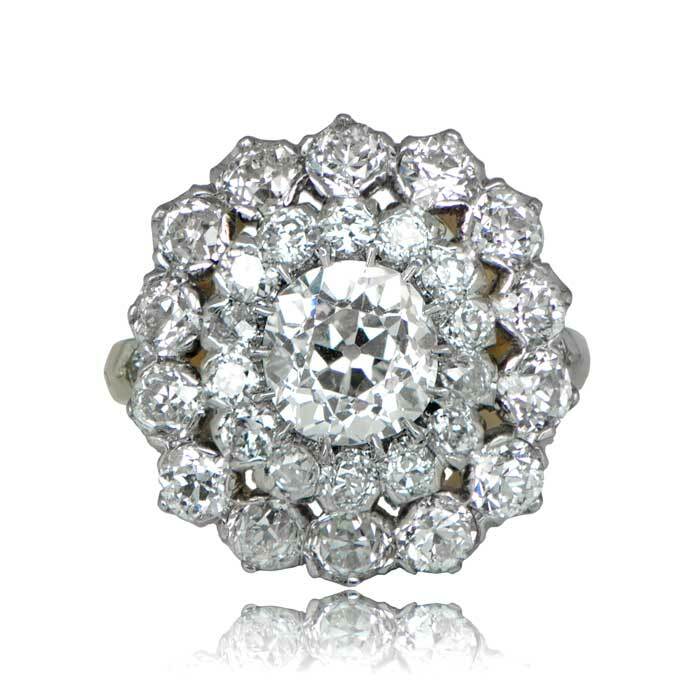 A gorgeous cluster ring, adorned with a double floral halo of diamonds that frame a very beautiful center antique diamond. 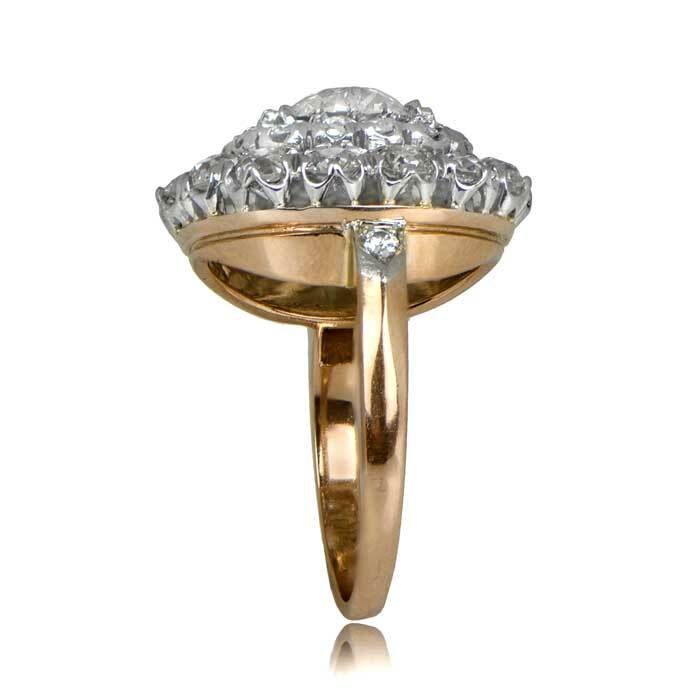 The mounting is 18k rose gold that leads towards a platinum gallery. The shoulders are accented with a diamond set in platinum. 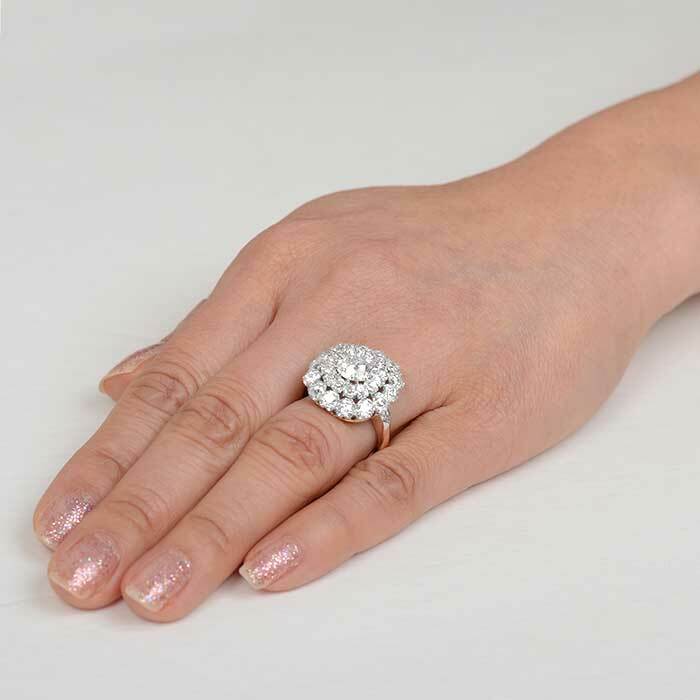 The center diamond is a old European cut diamond cut circa 1920 and weighing approximately 1.95 carats, J color and VS1 clarity. 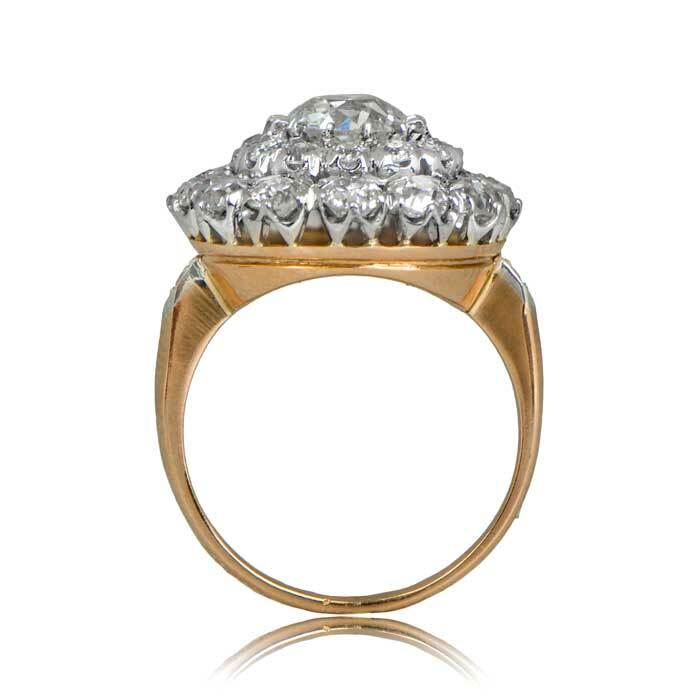 There is an additional 3.50 carats of diamonds surrounding the center diamond. SKU: GS101 - Contact us and request additional pictures.